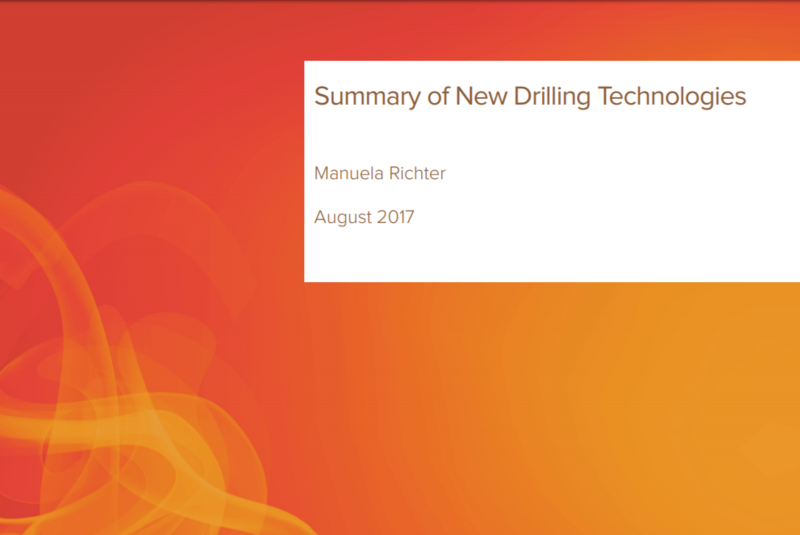 A report summarising new global developments in geothermal drilling technologies has been published as part of Working Group 13 – Emerging Geothermal Technologies. It can be found on the Working Group publications page here: http://iea-gia.org/publications-2/working-group-publications/#Annex-13. It can be accessed directly at http://iea-gia.org/wp-content/uploads/2014/10/IEA-Geothermal-Drilling-Technologies.pdf.